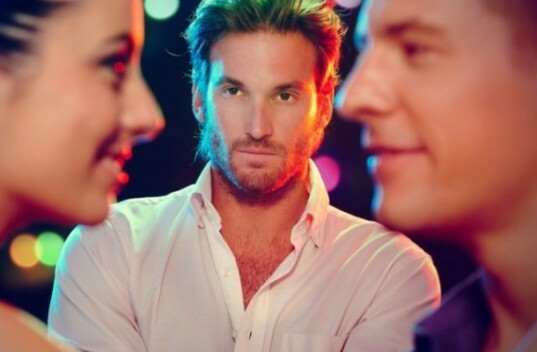 Homepage»Relationship Problems»What Are The Signs of Jealous Men? Both men and women can be jealous. That’s obvious. But jealousy in men, because of the special characteristics that men have, is usually more detrimental to the relationship than it is in women. What we will be discussing here is not about that “cute” or “mild” jealousy, that oftentimes desirable in romantic relationships. We will instead discuss about those “sick jealousy” in men and how to spot such men before you have become too involved with him. How often do we see and hear, maybe in the news or from our own sister or colleagues, how a raging jealous man can do many things unimaginably scary? That’s the paradox of jealousy that we can see: while jealous men strive their best to get a woman for themselves, they hardly have enough confidence in themselves to keep the woman with them. That’s why they did what they did: to make sure their women would always be with them. Agreed, there is nothing wrong with making efforts to keep his woman staying. But there are limitations. And making derogatory statements or speaking ill about her friends/family in order to alienate her and making her dependent to him are just out of boundaries. Maybe we can put those overly-jealous men to the contrast of those commitment phobic men. While commitment phobic men have difficulties to commit themselves in a relationship, a jealous man often seems too willing to commit. And while a commitment phobic man fears the most of the thoughts of themselves being attached to only one woman for life, a jealous man seems too eager for it. But, although jealous and commitment phobic men are mentally contradictory, both share many things in common, at least at the first dates. Both jealous and commitment-phobic men can be very charming and good looking, having everything as if they have the world under their feet. They can also be very nice and gallant. In short, it is hard for average women to not thinking of the man as their long-awaited prince charming… until that knave spirit hidden within him rears its ugly head. So, what are the signs of jealous men? Signs that we can use to spot an overly jealous man? Let’s see them one by one. Jealous men often seem too willing to “go further” in a relationship. How is he, the one you date? Do his fast moves in approaching you make you feel somewhat uncomfortable? Beware! Normally, a man, even when he likes a woman very much, will think it over and over again before he comes to the decision to commit himself to a woman. If it seems that he is too willing, or too eager, to commit to you in very short time, then something may be wrong: either he is playing his cards on you or he is one among those overly jealous men, men with self-esteem problem. He may fear the possibility that you’ll be attracted to someone else if he does not bind you quickly with him. I am all about people being nice to each other. It will make this world a better place to live. But it is not for nothing our society has this common saying: “wolves in sheep’s clothing”. A nice person is okay, but if he is too nice, incredibly nice, then we must be alerted. The root of jealousy is always fear, fear of losing. And that fear is always rooted in bad self image, low self confidence. Man with lack of confidence can hardly believe that other people will appreciate him as equal let alone a damsel be attracted to him. That’s why jealous men, who are typically having self-esteem and self confidence problems, then become scarily nice to the woman they are attracted to. Once again, I am not against all of the Mr Nice Guys out there. Me too, I consider myself as a nice guy and thus I urge all the single women all over the world to consider seriously the nice guys and seemingly needy men as their potential mates. Actually, men who are nice – or too nice – to women are commonly found, especially among those who are still inexperienced with women. It is so common that there is even a call for them: needy men. Being nice to women is all good. But, if the niceness comes from insecurity and bad self-image, then he could turn into a raging possessive monster later, especially if he has problem in controlling his temper – like those of overly jealous men. Again, this may seem innocent, and even pleasing. Who among you, women, don’t like it if your significant one picks you at the office, or accompanies you window-shopping at the mall? But, if it seems that he never lets you go alone or with your female friends, then be cautious. He maybe doing that out of his fear, out of his jealousy, instead of his care and love for you. His reluctance to let you go without him may be rooted from his inability (or unwillingness, whatever you call it) to trust you. This is a typical sign of over-jealousy. No matter how often you express your care for him, it seems that he always needs your assurance that you love him. This may and may not be harmful as it only signals his lack of self-confidence and low self-esteem. Many men have this bad self-image syndrome. As long as he does not become violent (or shows tendency to become violent) when you “fail” to give him the assurance he needs then it is okay. Jealous men feel the urge to always know where their partners are and what they are doing. If your boyfriend calls you all the time and becomes upset when he can not reach you (or when you deliberately do not pick it up), then there is a good chance that he has the potential to be an overly-jealous boyfriend, especially if you find him can not contain his anger and becomes more violent – in words and in deeds. You may not realize it, but it is another important sign of potentially overly jealous men: does it seem that he always comes up with something that needs your help? And it happens again and again that over time it affects your social routine? Overly jealous men are known to create scenarios just to make you always within their sights. Rather than meeting with your friends, you will be there assisting him passing the screw-driver when he is fixing his compo or dictating some text while he is typing it into a report “for tomorrow”. Of course you would not mind at first. After all, it is part of romantic relationship building, isn’t it? But that’s only the tricks that men with jealous problem often do to keep their women within their sights as long as they can. If your boyfriend is one of those overly jealous men, there will be many and many more things to do that he needs your company. Over time, all that will divorce you from your everyday friends and activities – just the way he wants. Overly jealous men, when they feel that they have been able to somewhat separate you physically from your friends, will start to say bad things about them. They will say that your friends are not really your true friends, thus isolating you further from them if you take his words. This is what makes overly jealous men very bad for your health. At this stage, it is most probably that you have been to deeply involved with an sickly jealous man. It may not be as easy for you to get rid of him as before. But, as the saying says “The truth shall make you free”, by knowing this truth you may be able to regroup and decide what is best for your own self. Jealous men, when they feel that they have been able to alienate their woman from the people who used to support her, when they see that she no longer hase anybody else to turn to but him, will start criticizing her – often to the extent of making derogatory comments about about her, even before his friends. A jealous man feels insecure, bad, about himself. So, in order to make you stay, he will try to make you feel bad about yourself, too, in anyway he can think of. That way, (he hopes, unconsciously though) you would never think again that anybody else would want you. He would try to make you believe how lucky you are to have him to take you. Because now you have only him, his words would be so much more meaningful to you. Overtime, you would be very dependent on him and would truly believe what he said was true. Your own identity would become a thing of the past. Your “ex” friends may make many worried comments to you but you would just ignore them or make excuses for it. That’s eight signs that you can use to spot whether your (next-to-be) boyfriend hides an acute jealousy problem or not. Of course there are some other signs that are more subtle such as telling you the way he likes you to dress, but that might be too misleading because some men indeed have their own preferences on how their girls should cloth themselves. What do you do when partner, watches your every move, even when you have coffee, accuses you of affairs, chokes you, I’m 67 partner 82. Won’t let you learn foreign languages, travel abroad alone for fear that you would cheat on him with foreign men, which means xenophobia. Another thing, he’s racist and prejudiced towards other men you talk to as well. Me and my husband are both 32. He is extremely jealous to the point of racism, xenophobia, and prejudice towards other men that I talk to. My parents married me off to him two years ago because he obeyed their expectations. He will kill you one day. As he ages and sees himself slipping away he will take you with him. My hand to God.